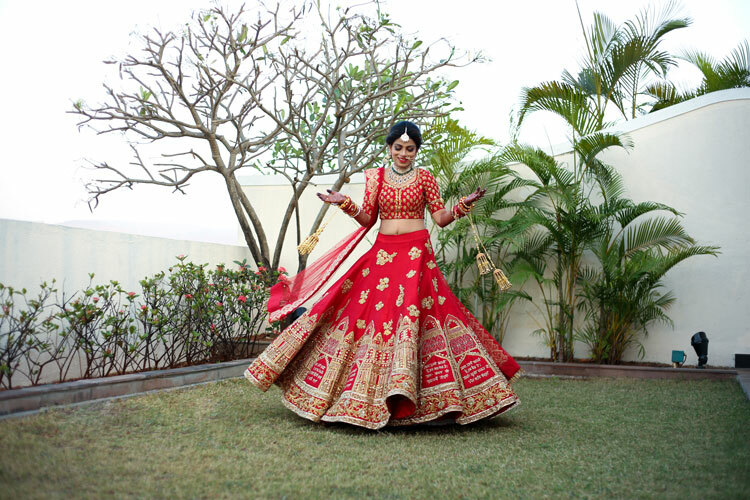 Nindiya and Nirmal - amazing Indian bridal lehenga ideas and a real flower lehenga! 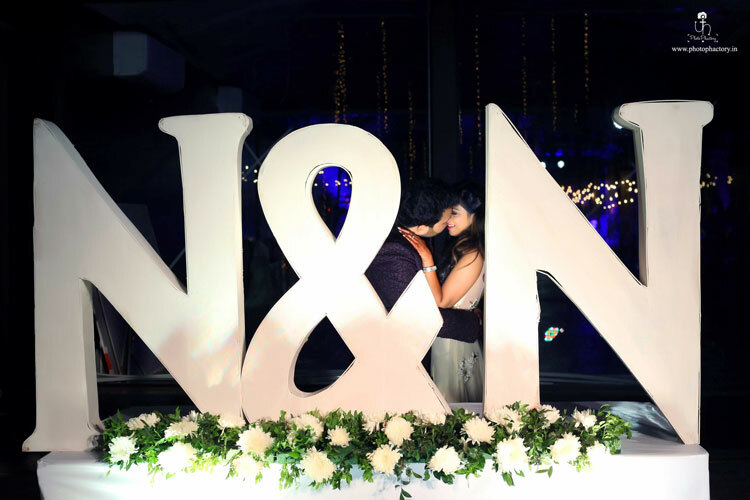 A major shout out to Nindiya and Nirmal who had a stunning Mumbai wedding that didn’t only give us some gorgeous Indian bridal lehenga trends, but, was unconventional yet so amazing till the end! 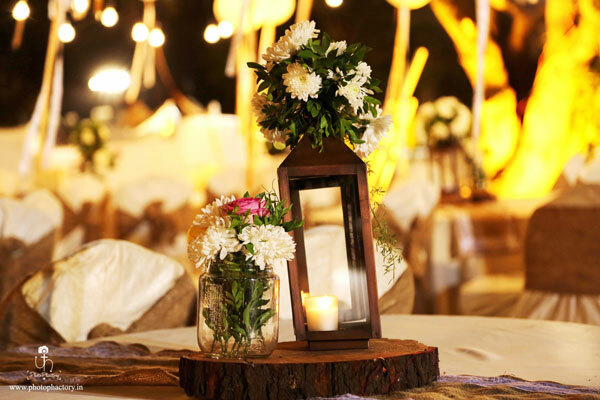  This is a wedding that’s all about friends, family and FUN. 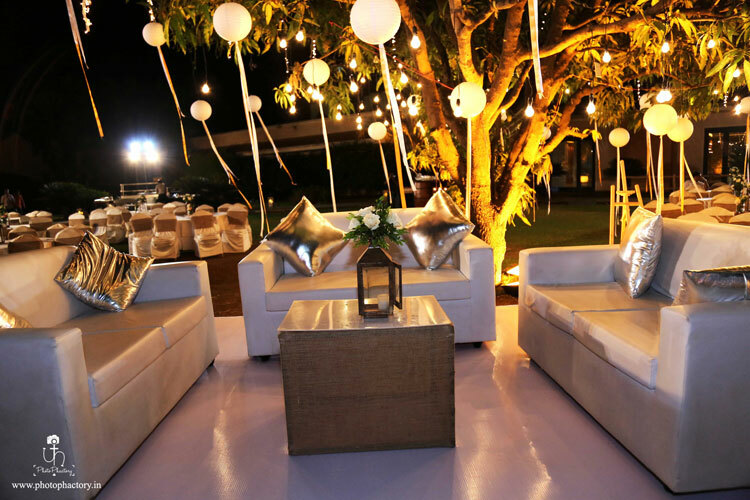 Here’s a look at the major highlights of this beautiful Mumbai wedding with it’s designer dulhaniya who we’re totally in love with. Up for a sneak peek? Let’s go! 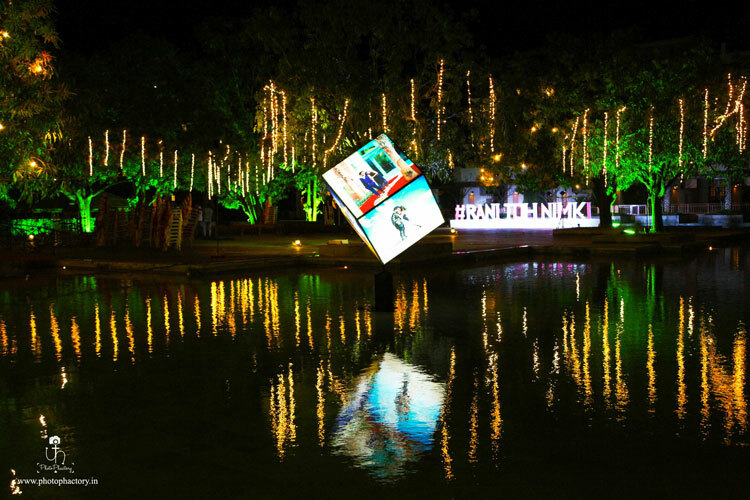 We love their hashtag #RaniTohNimKi. 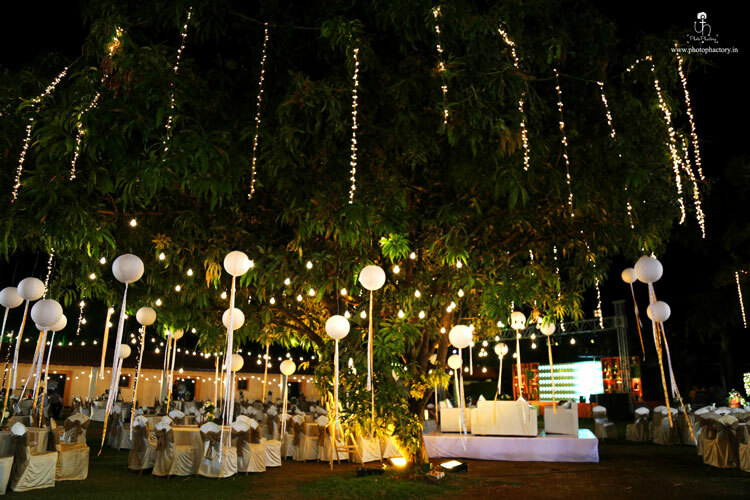 We’re totally swooning over their drop dead gorgeous pictures. Under the clear sky and amidst the Dubai desert – Nindiya and Nirmal perfectly complimented each other – don’t miss the perfect coordination in their outfits! 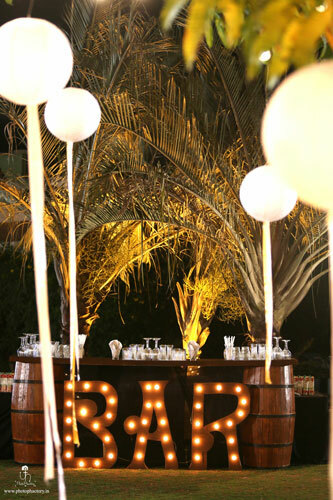 We loved the whole rustic chic feel of their decor. 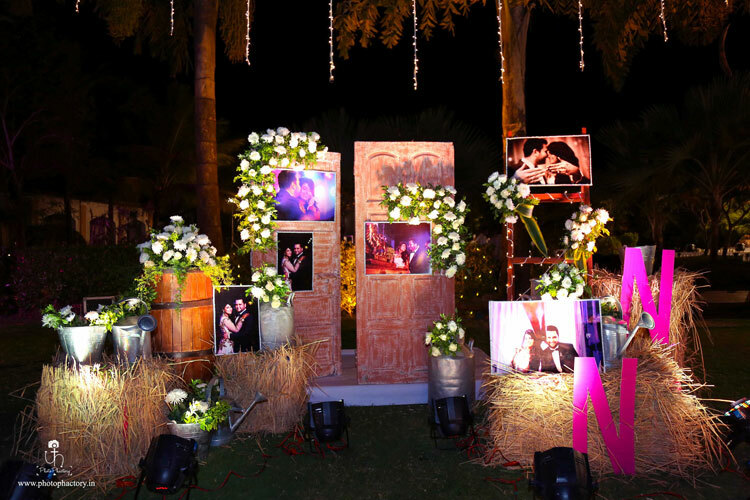 From pretty detailing done with flowers and fairy lights to the quirky photo booth and the cute monograms, everything was so on point!. Why stop at Flower Jewellery ? 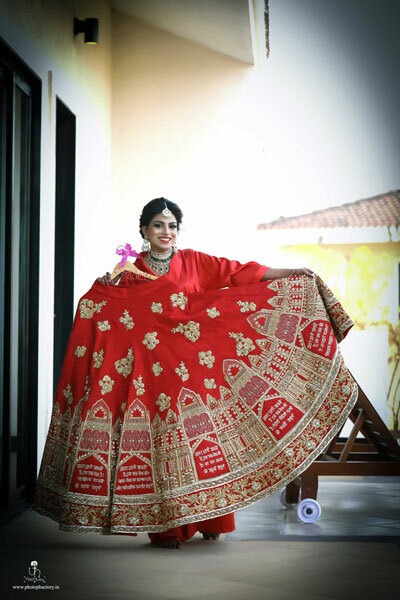 Nindiya designed her own lehenga made with real flowers! She definitely has some serious fashion powers! Her mehendi outfit was an absolute hit. 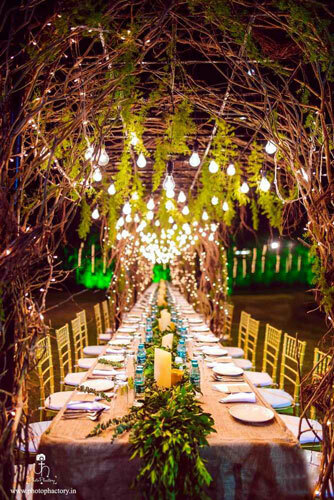 Didn’t we say this Delhi wedding was unconventional yet Fab in every bit? 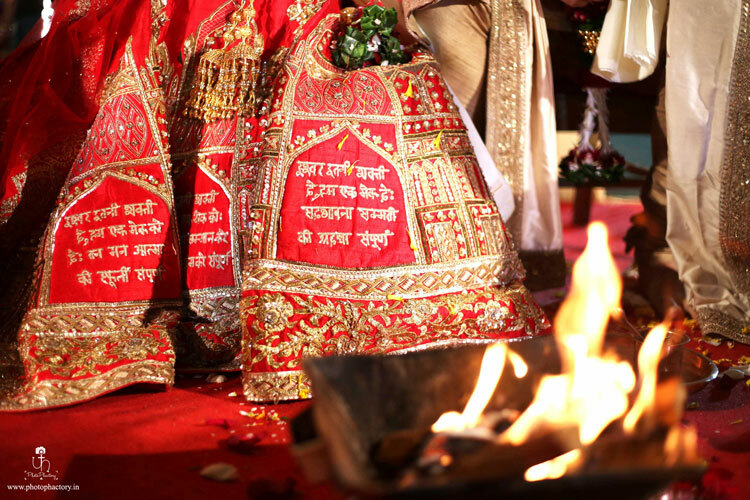 Our designer bride also gave us some major Indian bridal lehenga goals when she had the seven wedding vows embroidered on her bridal lehenga in gold. *Swoon* A customized lehenga with a personal touch to behold. What more can a bride wish for? This stunner has made it’s place in our editor’s picks of the most unique lehengas we’ve seen this season – with good reason!